When knowledge is gathered, enlightenment will follow. Materoa is a daughter, sister, wife, mother, grandmother, great-grandmother, friend and leader. Materoa began working in the health sector as a hospital aid at Horowhenua Hospital; she then trained as a nurse to have more influence over the care of whānau. She followed the recovery and mana enhancing philosophy of care before they were named as such, Materoa practised in most nursing areas and found a natural passion for mental health. In 1995 Materoa began working in Māori Mental Health when specialist kaupapa Māori mental health services were first developed. She accepted management and leadership positions including Chair of the Mental Health Foundation and the Board of Directors of Te Rau Matatini. 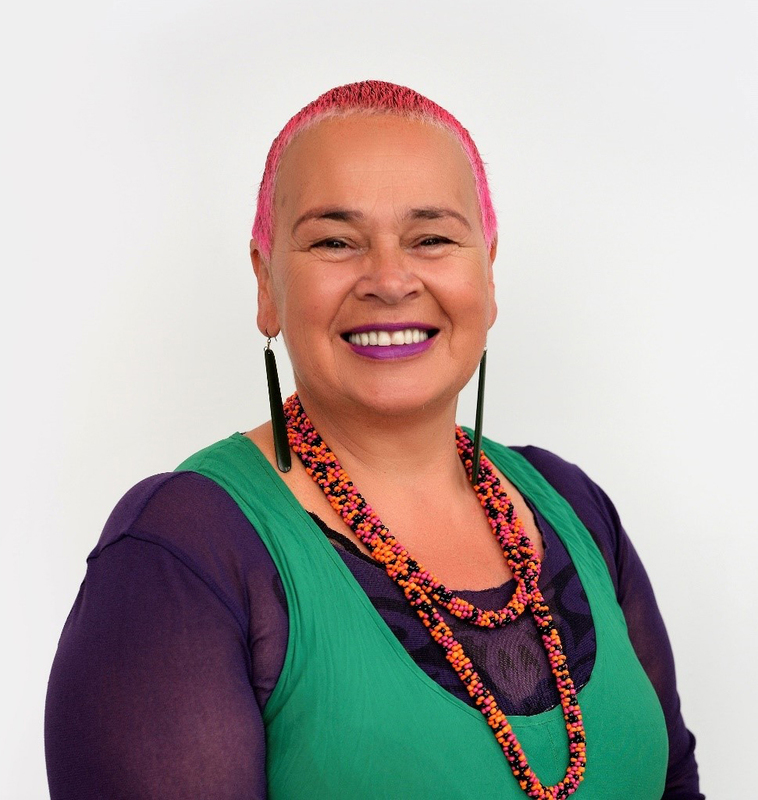 She also held governance roles at Te Kura Kaupapa Māori o Manawatu and Hato Paora College. Materoa is a staunch advocate for whānau drawing on her sharp mind, tenacity and eternal optimism to effect change across multiple systems, processes and structures. Her strong sense of natural justice and social inclusion are constant values in all she undertakes. She is a respected adversary of many. Over the last 25 years, I alongside many others, have watched Materoa challenge the status quo, create innovative solutions. Where others worked within the system, Materoa with a certain panache and style challenges the systems for our whānau at local and national levels. Over time Materoa has been involved with Indigenous Development and has benefited from visiting with and maintaining a broad array of relationships internationally. Her sharp wit and feisty personality are wrapped up with a nurturing and passionate disposition that is highly regarded by whānau, colleagues and the community alike. Always presented beautifully with new hair colour and bold attire, Materoa can capture a room with her natural presence, while also being able to engage with anyone from anywhere at any time. Now as the Upoko Whakarae of Te Tihi o Ruahine Whānau Ora Alliance, Materoa is leading creative and innovative Māori solutions to the oppressive impacts of colonisation and racist systems on Māori. Her ‘can do’ entrepreneurial approach combined with her natural style and grace has transformed the can’t be done attitude to focus on successful opportunities for whānau.